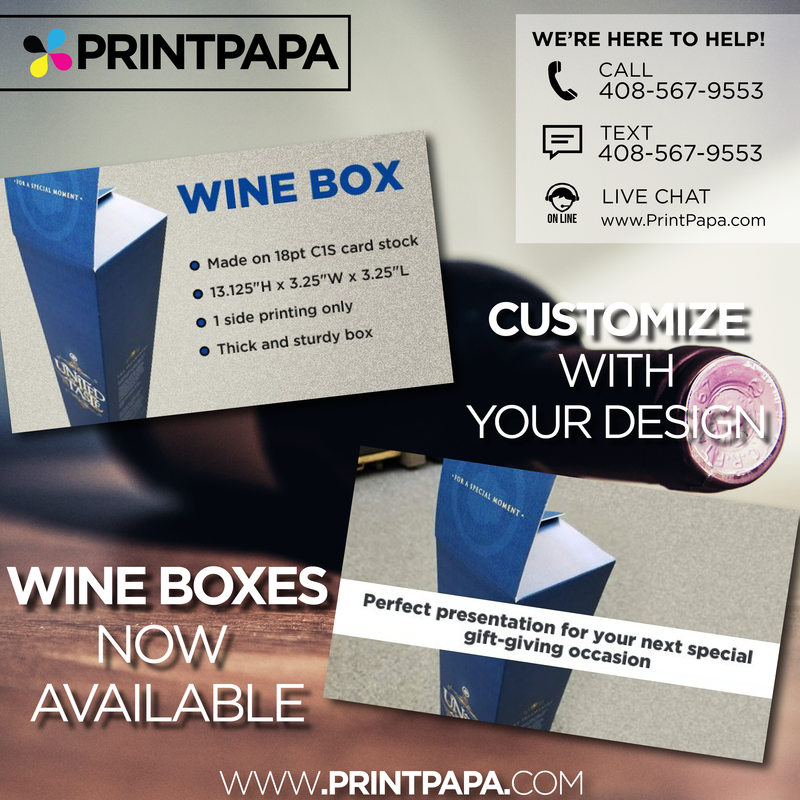 Stylish and elegant, our wine boxes provide the perfect presentation for your next special gift-giving occasion. There are NO MINIMUMS, which means you can order just ONE BOX. So this is great for prototyping. This entry was posted in Marketing, New @PrintPapa on March 20, 2017 by Shawn Nag.